Mentor of mentors, the teacher of teachers, Dr. Myron Nevins sets the standards for Implants and Periodontics. Myron Nevins, DDS, is the editor of The International Journal of Periodontics & Restorative Dentistry and Associate Clinical Professor of Periodontology at the Harvard School of Dental Medicine. Dr. Nevins is a past president of the American Academy of Periodontology where his contributions have been recognized with the Gold Medal and the Master Clinician Awards. He is a Professor of Periodontics at the University Of Pennsylvania School Of Dental Medicine, a Clinical Professor at the Temple University School of Dentisrty and Adjunct Professor of Periodontics at the University of North Carolina. 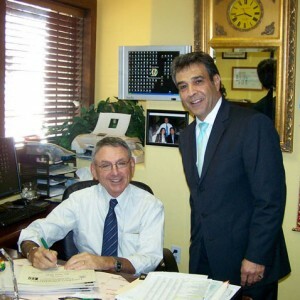 He maintains a private practice limited to periodontics and implantology in Swampscott, Massachusetts.